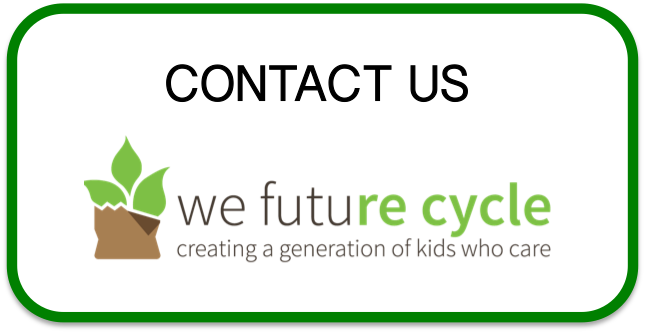 White Plains Ridgeway Elementary school was chosen as one of the pilots to implement the We Future Cycle School lunch recycling program. With enthusiastic support from Assistant Principal James Graziano Ridgeway students learned in assemblies that packaging is not trash but material for new things, they learned where the garbage goes when it is not sorted or recyclable, and they all agreed that they did not want to live next to a dump nor an incinerator. For good measures, they also agreed that animals probably won’t like living next to one either. The custodial staff, under leadership of Pedro Molina, was super supportive, helping to set up the recycling station, going way out of their way to make the school a success. On Halloween a full bodied Batman was helping students at the recycling station. How fabulous is that! Ridgeway had 124 lbs of waste of which only 6 lbs were actual trash, all other was either liquid, food waste, milk cartons or commingled recycling. A whopping 95% reduction. Now, that is truly something to write home about. Ridg eway’s parents came to “do lunch” with their children, helping to train the students in the new sorting system. It takes active supervision and guidance to teach 700 students to sort and these parents were up to the task, fully supporting the efforts of the school to create a generation of kids that care.